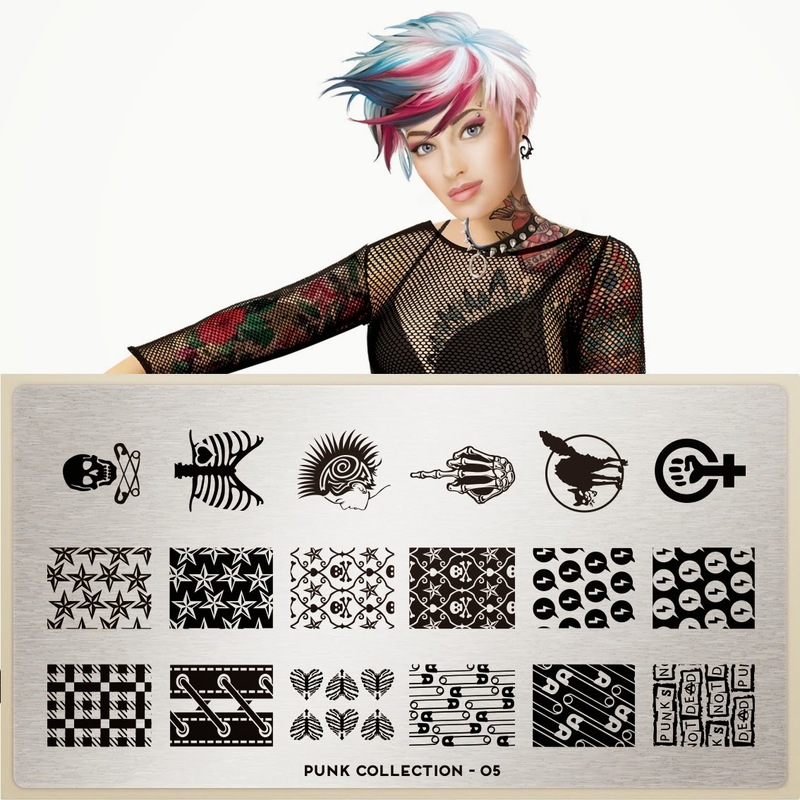 Lacquer Lockdown: Hot Off The Stamping Press: MoYou London Punk Collection! 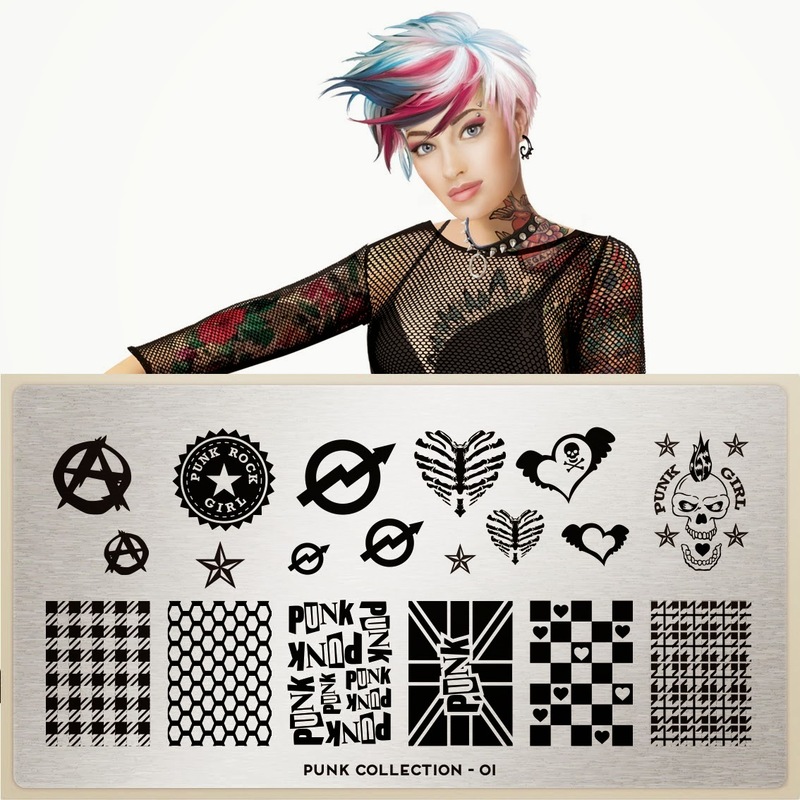 Hot Off The Stamping Press: MoYou London Punk Collection! If you want to win me over putting a stylized sternum on something however inaccurate is a good way to go! Lol. I love it! 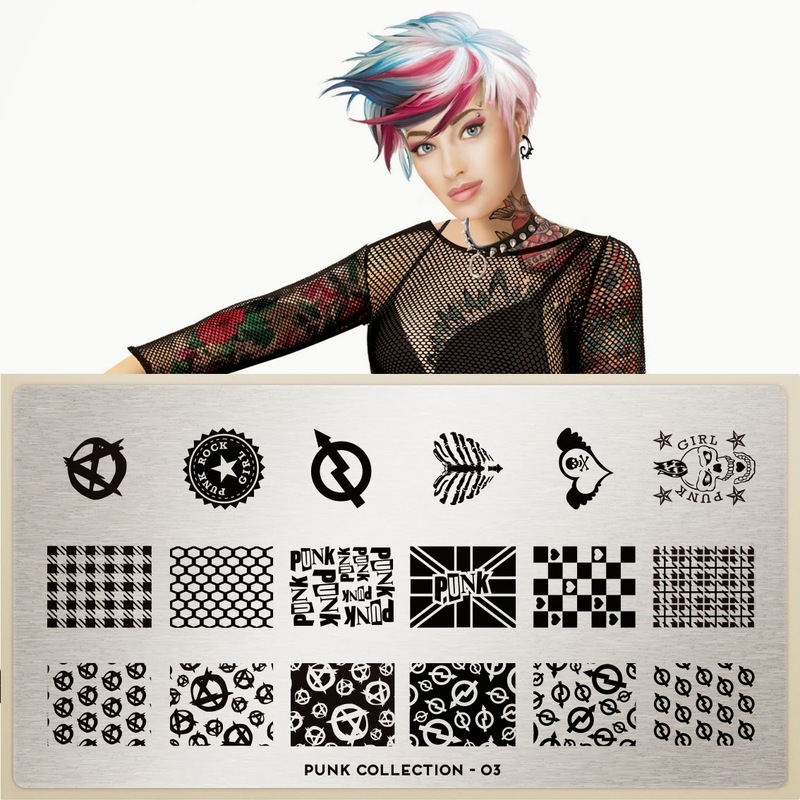 I will point out though for the sake of being impartial that I see one pattern at least from the Hipster Collection. This plate for me is really kind of meh. I mean I love these little details on the first one, but as a whole pattern on the nail? I'm less inclined plus several of them are repeats that are just enlarged. We know this game ladies. Make em' large and make em' small ;) Luckily I am not enamored enought to have to get the smaller versions plus they have them all on the XLs above. The skeleton's hand is anatomically incorrect lol! Why is that first thing I note? Lord save me from myself. This plate is awesome! Totally rebellious and totally inappropriate for my daily life. But wait look at the thorax! Ok some of these can be worked into my daily life. I want that rib cage darnit! And here we go again! Small images that aren't on the XL plates. I like the little hearts. The rest I can pass on.